Last week I attended Photokina 2016, in Cologne, Germany. 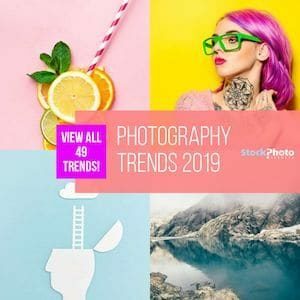 As the largest Trade Show in imagery industry, Photokina gathers representatives of the biggest companies in stock photography. One of them was Adobe, whom gave a press conference at the event including news about their Adobe Stock service. I was one of the participants. It was a very interesting presentation, where Adobe Stock executives Zeke Koch –with whom I had a special interview that you can check out here— and Morgan David De Lossy, and Premium Contributor Arne Trautmann, exposed different aspects of Adobe Stock's current and new features. Here we bring you exclusive videos from the Adobe Stock press conference at Photokina on September 22nd. We apologize for the bad video and audio quality –the common difficulties of recording a live press event– but we expect you enjoy the valuable insights from this Adobe Stock trio. Zeke Koch is Adobe Stock's Senior Product Manager, and is in charge of the integration of Adobe Stock into Creative Cloud applications. In our interview, he mentioned the deeper integration of Adobe Stock and Creative Cloud, the auto-keywording functionality and other improvements that aimed at making it easy for creatives to submit their own images to be sold at Adobe Stock. Here, he gives an in-depth explanation over Adobe Stock's goal to integrate creatives in a fair-trade marketplace where every designer can be both a stock buyer, and a stock producer. Morgan David de Lossy is Product Manager at Adobe Stock. He was in charge of presenting and explaining the main goals and functionality in the new Adobe Stock Contributor Site, currently in beta (read the full post on MyStockPhoto). Don't miss our video interview with Morgan from the last Photokina here. Morgan explained and showed how to use the simple and highly automatized system to upload photos, vectors, illustrations and videos to Adobe Stock using Lightroom CC. In addition, the site also allows upload via Bridge CC, and web. The video below will start at the correct time when Morgan speaks. Arne Trautmann is Adobe Stock's Featured Premium Contributor. Arne is a successful stock photography contributor since 2007 with his brand Kzenon, and he's one of Adobe Stock's top contributors. He provided the point of view of a professional stock photo producer in relation with the new Contributor Site, explaining how its functionalities address all the negative aspects of the process of selling images online, and give photographers and designers more time to dedicate to their creative process. The video below will start at the correct time when Arne speaks. The press conference provided a great insight on Adobe Stock's current focus and future plans, and presented detailed and in-depth information on the uses and possibilities in the new features. 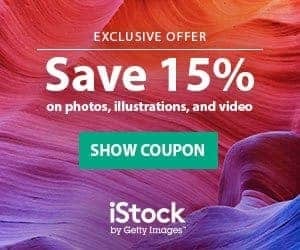 If the idea of buying but also selling stock photos attracts you, if you want to know what Adobe Stock is up to and what can you expect from this service in the future, don't miss the videos above, where you can hear all these details from Adobe Stock's team themselves. If you haven't seen our interview with Zeke Koch, click here to watch it now!